Mick Harv ey will release Sketches From The Book Of The Dead on May 3 via Mute Records. Check out the track "Famous Last Words" from the album in the handy widget at the bottom of the post. Harvey is currently finishing a tour with PJ Harvey which has makes sold out stops here in New York at Terminal 5, tonight and tomorrow. 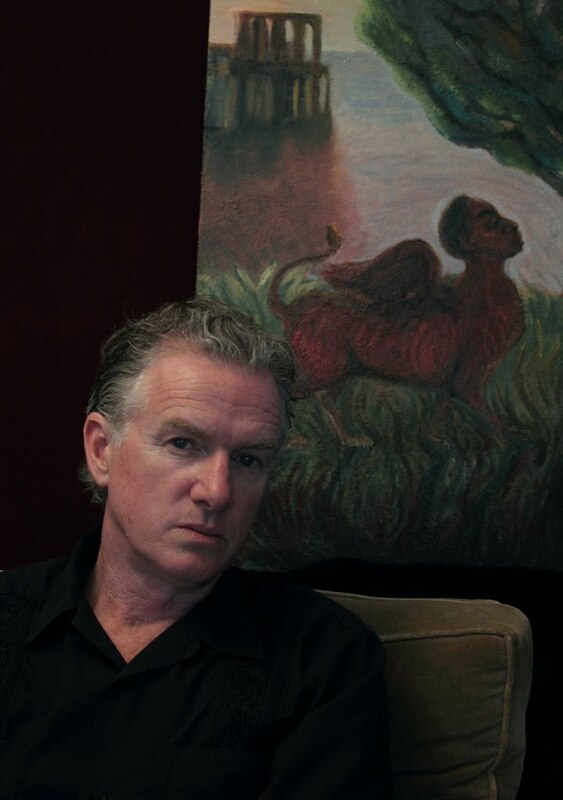 Sketches From The Book Of The Dead is Mick Harvey's first fully self-penned album; the 11-track album was recorded and mixed with David McCluney at Atlantis Sound, Port Melbourne with additional recording at Harvey's own Grace Lane music room and sees Mick Harvey (playing most of the instruments) joined by Rosie Westbrook on double bass and J.P. Shilo on accordion & violin, with Xanthe Waite contributing occasional ethereal backing vocals.